It's time to lace-up again for another incredible physical education learning experience that's sure to move you! 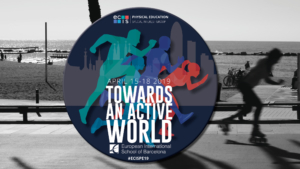 Welcome to the 2020 ECIS PE Conference, "ACCESS FOR ALL", coming to you from the International School of Amsterdam. Registration will open soon, but for now, please register your interest via the link below. Whether you are interested in attending as a delegate, keynote, facilitator, or exhibitor, let us know and we will keep you in the loop.